State Contact List now includes links to State websites and recent RFPs. 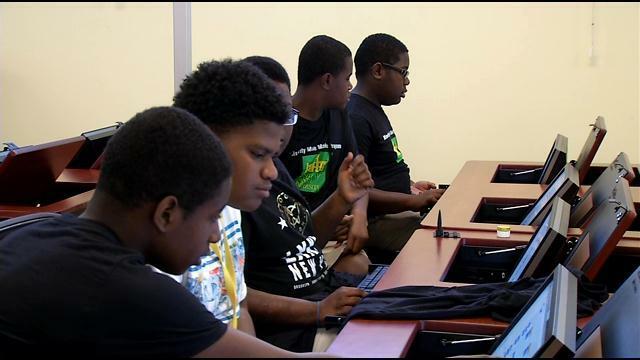 The Summer Math and Science Honors Academy, known as SMASH, gives students of color guidance and exposure to STEM subjects. 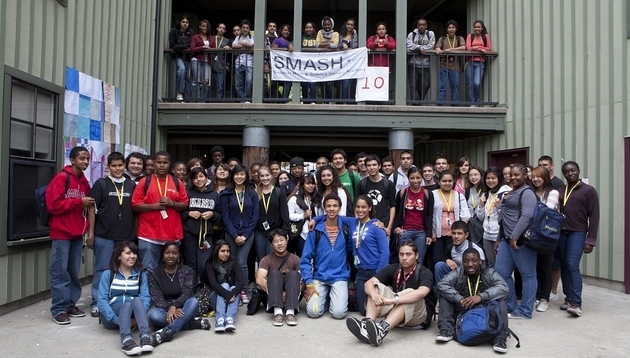 Many students of color don’t have such classes available in their schools, but academies like SMASH help give them the foundation they need to excel in STEM careers even if such programs are missing from their daily curriculum. The program takes places every summer for three years for each student but also offers benefits throughout the school year. SMASH students have access to special college counselors and receive tailored SAT prep classes. The Einstein field equations (EFE; also known as “Einstein’s equations”) are a set of ten equations in Albert Einstein’s general theory of relativity which describe the fundamental interaction of gravitation as a result of spacetime being curved by matter and energy. First published by Einstein in 1915 as a tensor equation, the EFE equate local spacetime curvature (expressed by the Einstein tensor) with the local energy and momentum within that spacetime (expressed by the stress–energy tensor). Similar to the way that electromagnetic fields are determined using charges and currents via Maxwell’s equations, the EFE are used to determine the spacetime geometry resulting from the presence of mass-energy and linear momentum, that is, they determine the metric tensor of spacetime for a given arrangement of stress–energy in the spacetime. The relationship between the metric tensor and the Einstein tensor allows the EFE to be written as a set of non-linear partial differential equations when used in this way. The solutions of the EFE are the components of the metric tensor. The inertial trajectories of particles and radiation (geodesics) in the resulting geometry are then calculated using the geodesic equation. As well as obeying local energy-momentum conservation, the EFE reduce to Newton’s law of gravitation where the gravitational field is weak and velocities are much less than the speed of light. Exact solutions for the EFE can only be found under simplifying assumptions such as symmetry. Special classes of exact solutions are most often studied as they model many gravitational phenomena, such as rotating black holes and the expanding universe. Further simplification is achieved in approximating the actual spacetime as flat spacetime with a small deviation, leading to the linearised EFE. These equations are used to study phenomena such as gravitational waves. The backbone of mentoring’s infrastructure is the growing Mentoring Partnership Network that MENTOR helps build and support. MENTOR is scaling impact by developing and supporting a national network of affiliate Mentoring Partnerships. 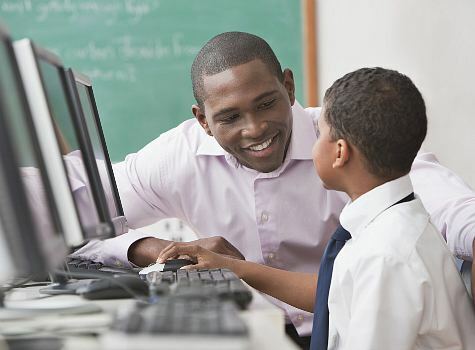 Mentoring Partnerships are non-partisan, public-private organizations that galvanize local or statewide mentoring movements, providing the leadership and infrastructure necessary to support the expansion of quality mentoring relationships. Mentoring Partnerships serve a unique role as a clearinghouse for training, resources, awareness, and advocacy, providing the critical link between MENTOR’s national efforts and local organizations and programs that foster and support quality mentoring relationships. Mentoring Partnerships are designated MENTOR affiliates that inform and distribute our research and resources. Advance the quality of the local mentoring field by building relationships with new and existing mentoring programs and provide capacity building trainings and technical assistance grounded in evidence-based approaches. Engage a wide variety of public and private stakeholders to increase both the number of volunteer mentors as well as resources for the local mentoring field. Collect data on a regular basis to describe the impact of mentoring in the broader community and identify gaps in the range of services needed. Expand public and private support and investment in mentoring through public awareness and advocacy efforts that foster communities that prioritize quality youth mentoring. Mentoring Partnerships have developed solid, field-tested solutions to some of the mentoring movement’s greatest challenges. 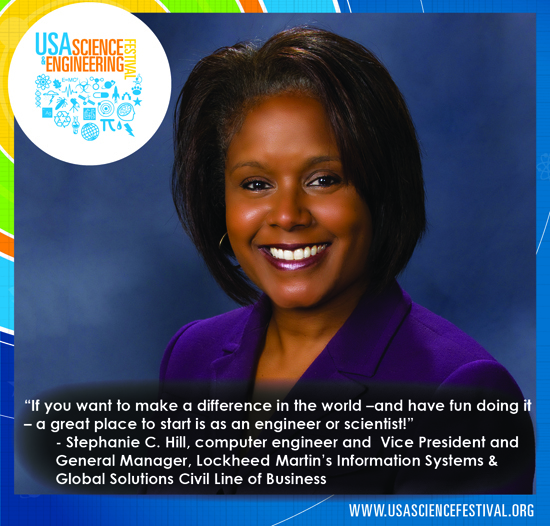 Their achievements of the past continue to help shape and define the essence of science, technology, engineering and mathematics (STEM) today. This is the legacy of such early innovators as: Benjamin Banneker, the mathematician who helped map out and plan the city of Washington, D.C.; Charles Drew, the surgeon who pioneered blood transfusion; Garret Morgan, who invented the gas mask and the modern traffic light; botanist George Washington Carver, whose innovations with the peanut and other plants continue to enrich our lives and made him a trusted science advisor to such luminaries as President Teddy Roosevelt and Henry Ford; and Marie Daly, the first African American woman to receive a Ph.D. in chemistry, and an early innovator in the study of heart disease. Smarter Balanced members voted to approve the initial achievement levels for the math and English assessments that will be administered in 17 states and one territory this school year. The achievement levels help provide a more accurate picture of individual student performance, and the vote marks an incredibly important milestone in the development of the Smarter Balanced Assessment System. Achievement Level Setting was an inclusive, collaborative process that involved an unprecedented level of educator and public input. More than 2,500 educators, parents, and other interested stakeholders provided input during the Online Panel. Their recommendations were shared at In-Person workshops in Dallas with nearly 500 teachers, school leaders, higher education faculty, parents, community leaders, and other stakeholders. Participants reviewed test questions and determined threshold scores for four achievement levels for each grade in both subjects. In addition, a cross-grade review committee comprised of 72 members took results from both the Online Panel and In-Person workshops into consideration as they developed recommendations aligned across grades to reflect student progress from year to year. It’s important to remember that achievement levels are a starting point for discussion about the performance of individual students and groups of students. In addition to achievement levels, there are other ways to evaluate academic progress of students and schools. Smarter Balanced states unanimously approved a position paper that provides guidelines for how scores and achievement levels can be used and interpreted. We know that new content standards set higher expectations for students. That’s why the new assessments are designed to evaluate student performance against those higher standards. It is therefore not surprising that we may see a decline in student scores this year. However, over time the performance of students will improve. In the coming months, Smarter Balanced states will present the approved achievement level recommendations to policymaking entities that have the authority to formally adopt achievement levels in each state.This authority typically rests with the state board of education. To learn more about the Achievement Level Setting process, visit the Achievement Levels page. To prepare states across the Consortium for successful implementation of the Smarter Balanced Assessment System, a variety of updates have been made to the Support for Under-Represented Students page. Updated versions of the Usability, Accessibility, and Accommodations Guidelines, Accessibility and Accommodations Factsheet, and Usability, Accessibility, and Accommodations FAQs are now available. 1- Please visit our Youtube Channel!